To the National Italian American Council (NIAC) and its multi-media production affiliate NIACTV website. NIACTV supports media development for the National Italian American Council (NIAC). NIACTV is multi-media news provider dedicated to reporting national, international, and local news so our viewers and members may become better informed and educated. The Following interviews on NIACTV will be aired for the remaining part of the year. The month of October is Italian Heritage month and we appreciate all those who have participated in the interviewing process. 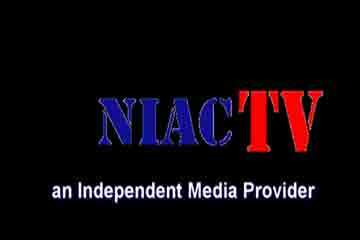 The National Italian American Council (NIAC) and NIACTV and its officers and producers are not responsible for the opinions expressed or shared by the individuals interviewed on NIACTV website. The National Italian American Council (NIAC) and NIACTV conduct interviews with the general public so certain national, international, local and community issues may be reported to our viewers and for information purpose's only. The NATIONAL ITALIAN AMERICAN COUNCIL (NIAC) chose Maria Pappas, Cook County Treasurer to salute the Columbus holiday for 2009. See photos and video below. The NATIONAL ITALIAN AMERICAN COUNCIL (NIAC) A multi media provider protecting the cause. Tony La Piana, founder & president of NIAC does the honor of thanking all who made the event possible by saying this. La Piana said "On behalf of my organization the NATIONAL ITALIAN AMERICAN COUNCIL (NIAC) I wish to thank 2ND DOMESTIC, RANDY WEIS and CJ WEIS, WHITE CASTLE, and DOMINICS food store for their donations toward this program. And I would like to thank the staff at HINES VA hospital for helping to put this project together, and to each and everyone of you (troops)and Veterans for keeping AMERICA safe and our people free!" The "MOVEMENT" is important and must continue no matter what. You the individual or the people as a group must organize and support the NIAC in its quest seeking social justice for all Italian Americans. SAVE THE ITALIAN AMERICAN CULTURE! The "MOVEMENT" is an educational exhibit about the Italian American experience starting from world war II to the present. 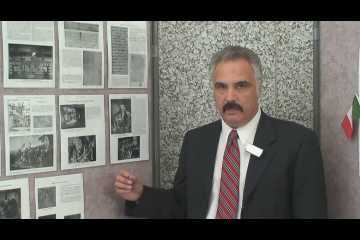 The "MOVEMENT" curator is ANTHONY E. LA PIANA, founder & president of the NATIONAL ITALIAN AMERICAN COUNCIL (NIAC). The "MOVEMENT" has been on display at college campus, the Illinois State Building in the Chicago Loop. And on display at the DALEY CENTER - EAST LOBBY every year since year 2000. The "MOVEMENT" captured the attention of the electronic media in 2011 and 2012. In 2011 during the month of October CBS Channel 2 news reported on The "MOVEMENT". And On 10-23-12 CBS Channel 2 news reported on the exhibit on its 6pm evening news with Legend Anchor Bill Kurtis. 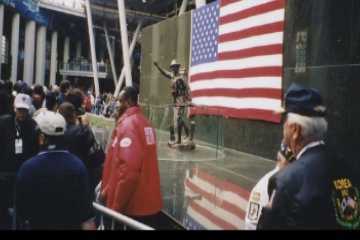 Part #1 of video footage of The "MOVEMENT" exhibit is taken at the Daley Center in Chicago, Illinois. October of 2008. for more details read and view section (part)II below. Part 2, of The The "Movement" exhibit at the Daley Center in Chicago, Il. October of 2008. 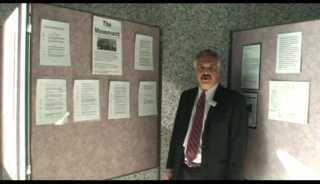 The "MOVEMENT" exhibit was created by ANTHONY E. LA PIANA, Curator and founder & president of the NATIONAL ITALIAN AMERICAN COUNCIL (NIAC). The "MOVEMENT" is an educational exhibit describing the Italian American experience dating back to world war II to the present. 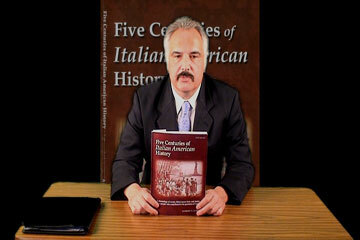 Information about FIVE CENTURIES OF ITALIAN AMERICAN HISTORY BOOK. Revised edition and all rights reserved by NIAC. Order online at the NIAC store page using pay pal or complete the order form and send to NIAC. 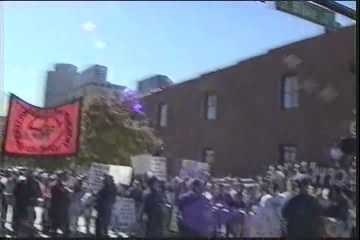 October 12th, 2005 Columbus Day parade held in Denver, CO. Watch this important video footage of Anti-Columbus protesters disrupting the Columbus parade in Denver, Co. Steve Antonnucio, then representative of NIAC-Colorado monitored the event and reported on it. Anthony E. La Piana, founder and president of NIAC was chosen to lead the Columbus parade that year. The Italian American people of Denver, CO., chose the NATIONAL ITALIAN AMERICAN COUNCIL and Anthony E. La Piana, founder & president of NIAC to lead the Columbus parade. 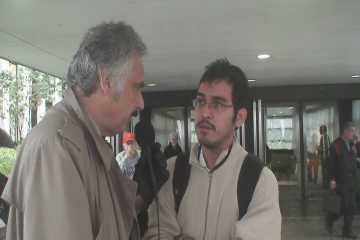 The following interviews were done at Chicago's Union Station. Anthony E. La Piana, founder & president of NIAC conducted the interviews. NIACTV - "Taking Sides" interview of Rose Farina at the Daley Plaza in downtown Chicago on October 04th, 2009. Anthony E. La Piana, founder & president of the NATIONAL ITALIAN AMERICAN COUNCIL (NIAC) conducted the interview. Rose Farina was chosen to salute the Christopher Columbus parade and holiday, October 11th, 2010 for NIACTV. 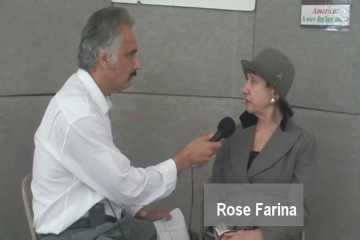 Rose Farina interview in full length. NIACTV Interview with Maria Pappas on 09/29/09. 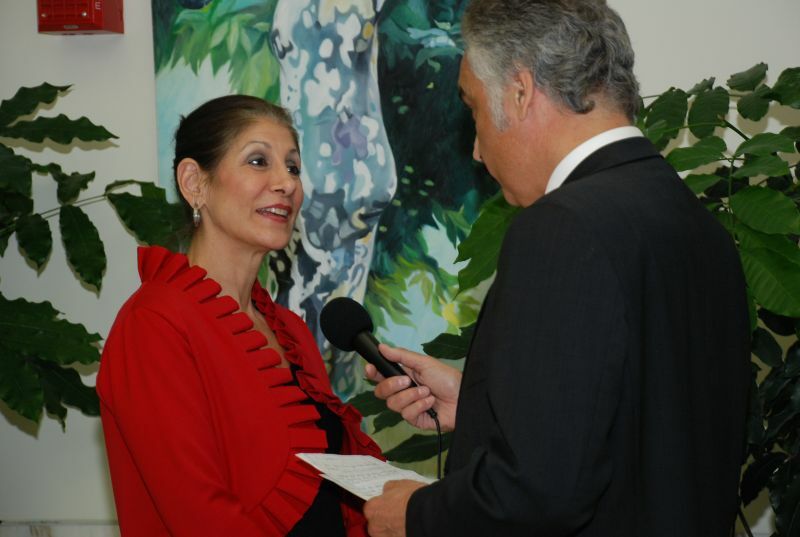 NIACTV Interview with Maria Pappas saluting Columbus day 2009. Interview conducted by Anthony E. La Piana, founder & president of NIAC & NIACTV. Interview conducted at Chicago City Hall, Cook County Treasurer office. 2009 Annual Bataan Memorial Service held in Maywood, Illinois. 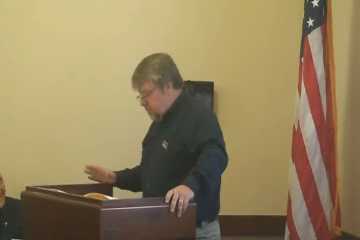 First (1st) interview of Col. Richard A. McMahon, US Army - Retired - period served (Vietnam). Listen to Col. McMahon describe his recent visit overseas and the apology offered to former American POW's from the Ambassordor of Japan. 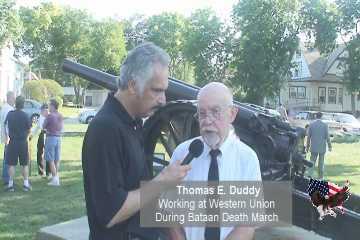 Second (2nd) interview with Thomas Duddy who at the age of 15 years old was working for Western Union during World War II and was assigned the task of delivering black stars to the families of American Military personnel who died in battle. 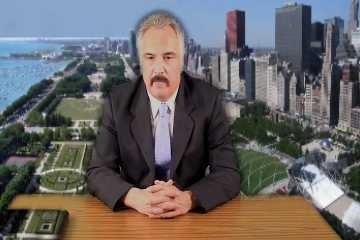 Interviews conducted by Anthony E. La Piana, founder & president of the NATIONAL ITALIAN AMERICAN COUNCIL & NIACTV. The 2008 Annual Bataan Memorial ceremony held in Maywood, Il. 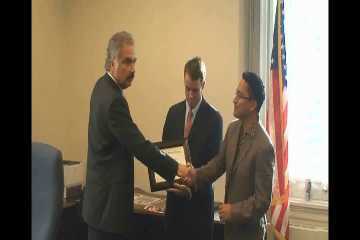 In 2008 Anthony E. La Piana, founder & president of the NATIONAL ITALIAN AMERICAN COUNCIL ( NIAC ) awarded the City of Chicago, The Mayors Office for Special Events and Ronald Salazar and David Kennedy, First (1)st Deputy Director for their contributions and efforts to promote the Italian American community and the NIAC Exhibit, The "Movement" at the Daley Plaza. NIACTV- "Taking Sides" with guest Rahm Emanuel, candidate for the United States Congress in Chicago, Illinois. NIAC has been working since 2000 on a number of political and social issues pertaining to American Society. View the colorful and successful history. Join our mail list. You can opt out at any time. Your email address will be used for official NIAC business and will not be redistributed to any third party.